Malaria Fever is one of the dangerous and fatal health disease, which is caused by a parasite and spread by mosquitoes. Numbers of peoples suffered due to malaria in 2015 was 210 million. According to World Health Organization, 438,000 people died because of malaria in that year. 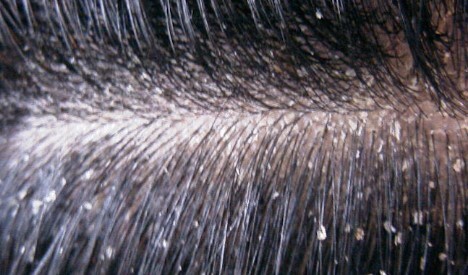 This disease possesses flu-like, symptoms such as high fever and chills. Multiple types of research are going on malaria prevention and vaccine, however, there is no significant success in that area. Just one malaria vaccine close to being licensed till date. So due to lack of vaccine and proper medication, one can cure and prevent from malaria at home by natural remedies. 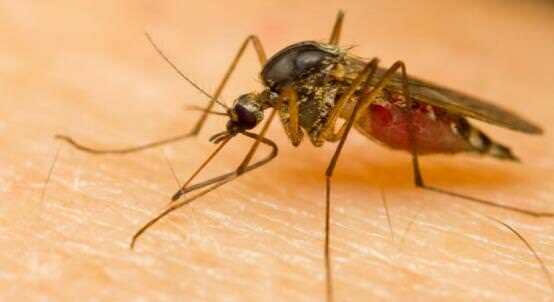 Malaria is transmitted by mosquitos known as Anopheles mosquito. It happens when infected mosquito’s bites a human and transmitted the parasites. Once parasites are in your body, they travel to the liver and started reproduction there. After few days, they get matured and start destroying red blood cells in your body. Medical science has discovered around 100 species of malaria parasites. Plasmodium falciparum is the most deadly parasites, which is commonly found in Africa. Malaria fever is caused by plasmodium parasite which is neither a virus nor a bacterium. Anyone can get malaria and it mainly occurs in poor, tropical and subtropical areas of the world. People from countries with no malaria can get infected when they travel to countries with malaria. Blood transfusion can also cause you malaria, although it is very rare. Also, an infected pregnant woman can transmit malaria to her infant before or during delivery. Plasmodium vivax – malaria infection take 12 to 18 days to show symptoms. Plasmodium malaria or Plasmodium knowlesi- symptoms starts in 18 to 40 days. Knowlesi malaria is a zoonotic disease. Plasmodium ovale- this type of malaria infection take 12 to 18 days to show symptoms. Plasmodium falciparum- symptoms begin in 9 to 14 days. Malaria fever symptoms appear within a few weeks after being bitten by an infected mosquito. However, some types of malaria parasites can stay in your body for up to a year. Malaria symptoms also depend on your general health, what type of malaria parasite you have, and whether you still have your spleen. Young children and infants are more at risk, 30% of total death caused by malaria are children aged less than 5. Travelers coming from areas with no malaria may be at risk when they visit tropical areas where malaria is very common. Pregnant women and their unborn children are more at risk. Poverty, lack of knowledge, and little or no access to health care also contribute to malaria deaths worldwide. Malaria can be fatal and according to The Centers for Disease Control and Prevention estimate that 90 percent of all malaria deaths occur in Africa. Cerebral malaria– This kind of malaria can cause coma by damaging the brain. When parasites filled with blood block some vessels in the brain, which cause swelling and damaging the brain. Breathing problems– it can cause you breathing problem because of accumulation of fluid in the lungs. Organ failure– Malaria can become life threatening disease by damaging kidneys or liver, or your spleen to rupture. Low blood sugar– Malaria can cause low blood sugar, which also leads a human to coma or death. Duration of malaria treatment depends on few key factor like disease severity, type of parasites in the body. Malaria treatment takes approximately two weeks. Following natural remedy can cure malaria at home and also prevent the disease. Holy basil is one of the oldest natural herbs for treating no. of disease. It is also an effective remedy to cure malaria. It has antibacterial and antibiotic properties which help to fight infection and stop malaria symptoms. You can directly eat 3-4 fresh basil leaves in the morning. Extract juice from 18-20 fresh basil leaves and mix with a half teaspoon of black pepper powder. Take this mixture three times in a day. Drinking basil leaves tea is also a good treatment for malaria cure. Boil 5-6 leaves of basil in one cup of water and strain this mixture. Drink this remedy twice in a day for 2 weeks. Grapefruit one of the best Natural medicine for malaria cure. It is a good natural source of quinine, which is medication to treat malaria at home. Take 1or 2 grapefruit and boil them in water for 10 minutes. Strain the grapefruit pulp after boiling and give this pulp to malaria patient twice in a day. Alternatively, malaria patient can also drink boiled water to get relief. Eating raw grapefruit is also beneficial in malaria control. In Ayurveda, this natural herb is also known as Caesalpinia Bonduc, which is a very effective ayurvedic medicine to cure malaria at an early stage. Take six grams of fever nut seeds with a glass of water two hours before the expected onset of paroxysm of malaria fever. Take next dose after an hour of the malaria attack by doing this you can easily avoid the paroxysm. If it happens again repeat the same dosages and the fever will reduce. Another useful natural herb for malaria treatment. It has antimicrobial and antibiotic properties, which help to fight infection and reduce malaria fever. Take about two and a half leaves of datura and make them into a pill by crunching them. Mix this datura pill with jaggery. Take this mixture two hours ahead of the usual onset time of the paroxysm. This natural herb helps to bring down the high temperature. It also improves your digestive and immune system, which help you to fight malaria fever. It also helps to reduce muscle pain. Take 1 tablespoons of fenugreek seeds and boil for 10 minutes in a cup of water. Strain this mixture and drink this tea twice in a day. Oranges are a rich source of Vitamin C and also work as an antioxidant, which helps to get rid of malaria fever symptoms. It also stimulates the antibodies in the body and helps eliminate the harmful toxins. Drink one glass orange juice twice or thrice in a day. You can also eat fresh oranges. In addition, you can take fresh fruits and vegetable diet depending on the severity of malarial fever. Another home remedy to cure malaria at home at an early stage without drugs. Roast alum and make it into powder. Take a half teaspoon of the alum powder four hours before the usual onset of the malaria fever attack. Take the same dose after every two hours of the attack. Lemon and lime are very helpful natural remedies for malaria control and prevention. It helps to improve your immunity system and keep your body hydrated. Take 3 grams of lime, mix with lemon juice and 50 ml water. Take this mixture before the onset of the malaria fever attack. Cinnamon is also a good natural remedy to control malaria symptoms. Boil a cup of water with a teaspoon of cinnamon powder. Add some honey and pepper powder to it. Take this mixture twice in a day to get rid of malaria symptoms. Chirata is a very effective ayurvedic natural remedy to cure malaria fever. it is a natural analgesic and helps in reducing a high fever. Take 15 gms of chirayata and steep in 250 ml of hot water. Add two cloves, one tablespoon cinnamon to it. Take 15 to 30 ml of this water after straining twice in a day. In Ayurveda, malaria fever is known as Vishama Jwara. Ayurvedic remedies can treat malaria effectively, but first, inform your physician if you intend to use herbal remedies. Sheetmani Rasa: Take this thrice in a day with honey. Alternatively, you can take a mixture of mahajwara ankush rasa, shuddha sphatika with the juice of tulsi leaves thrice in a day. Tuvrimallayogia: Take these ayurvedic pills twice in a day. These pills are a mixture of herbs like Godani Bhasma, Suddha Sphatika, and flesh of Karanja. Divya Jwarnashak Kwath: It is a Baba Ramdev ayurvedic natural remedy for Malaria. This also helps to cure dengue fever and Chikungunya. Patient Should Drink Orange Juice to Treat and Control Malaria. Eat more fresh fruits like pineapples, papayas, oranges, grapes, apples, grapefruits, and mangoes. Take soup or rice water. Eating curd helps to fight infection. Avoid tea coffee and other caffeinated beverages. Don’t eat Refined and processed foods, including white flour, cakes, and pastries. Meat, sauces, pickles and other condiments foods are not good for malaria patient.